In healthcare, innovative and lifesaving technology is unavoidable—it’s seemingly everywhere. Patient-provider technology is rapidly evolving into a seamless communication stream that connects patient with caregiver, establishing unrelenting ‘big data’ for clinical decision support. EHR systems such as Cerner and Epic, robots that perform surgery, smart and wireless IV pumps and even robots roaming the hallways of our hospitals delivering food and supplies! How could there possibly be a patient, or even worse still, a group of the most vulnerable patients in our hospitals that are not well-served by technology? How is it possible that a group of patients is completely let down and shunned by lack of innovation? Why were these patients and the caregivers that provide for them left behind in the technological revolution designed to improve entire healthcare populations? Let’s take a minute to examine the details and the scope of this seemingly unbelievable situation. In our nation’s hospitals, roughly 3.9 million patients per year end up in our ICU’s in a non-verbal, non-mobile state1. These patients cannot summon a caregiver, and even if they could – they couldn’t communicate with their caregiver to explain why they’re reaching out to them. These non-verbal patients are at a three times greater risk of a preventable adverse event than patients that can communicate with their caregivers2. This issue costs our hospitals nearly $29 billion per year. Several studies examining patient-provider communication have indicated that the quality of the communication played a significant role in medical outcomes and in both patient and caregiver satisfaction3-6. Current hospital-based solutions used to communicate with non-verbal, non-mobile patients is straight out of the 18th century. However, there is no one to blame here–this is not hospital leadership’s fault. Why? Because hospital providers are using what is most readily available to them: lip-reading, patient scribbling, laminated paper-based communications boards, etc. Technology born of last century. 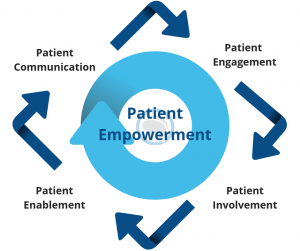 If patient empowerment is truly the future of healthcare—how do we include the non-verbal, non-communicative patient in this promising future if current standard communication protocols in our nation’s hospitals leave them feeling frustrated, forgotten and without a voice? 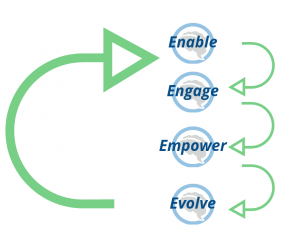 Voxello has a solution that brings these patients into the 21st century of patient empowerment and communication directly impacting patient outcomes and provider stress with the noddle® technology that literally gives these patients a voice and empowers them to be active participants in their own care. Voxello’s noddle platform speaks out for those patients that can’t. Voxello and its clinical partners will be at ATIA in 2019 and will have two presentations on the docket. The first will highlight Voxello’s newest sensor, the min-mo (patent pending). Voxello, with support from the NIH-NINR, has developed the min-mo sensor that uses motion-sensing technology to detect a wide range of small intentional gestures (e.g. head nod, shoulder shrug, wrist roll). It can be used in a plug-and-play mode or can learn to recognize a patient’s particular gesture. The sensor is designed to be directly mounted to the patient so that patients can, regardless of their position in bed, be able to use the noddle to activate the nurse call system and control the noddle-chat communication tablet with speech generation. 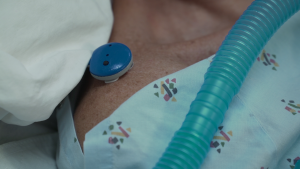 With the addition of this sensor, Voxello has expanded the range of patients that can more effectively summon their nurses providing greatly enhanced communication and participation in their care. 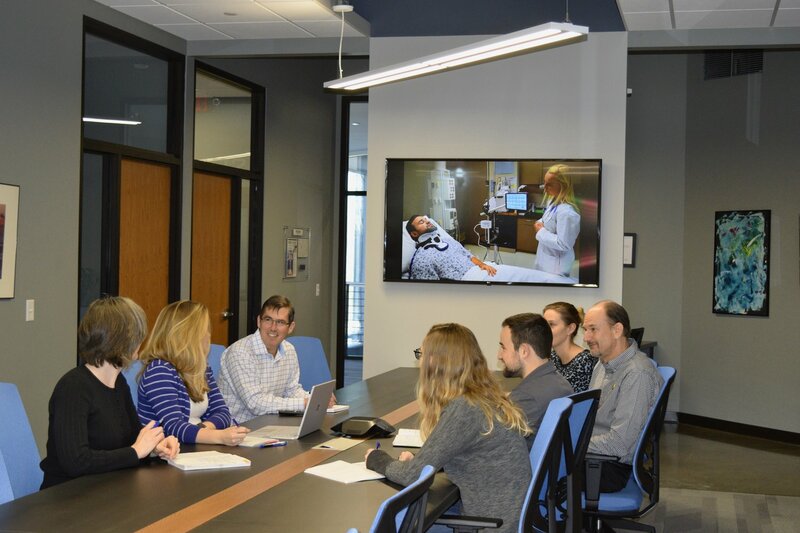 The second presentation showcases a series of case studies at the University of Wisconsin Hospitals and Clinics following implementation of the noddle® and the noddle-chat communication device for patients with complex communication needs. While the use of augmentative and alternative communication (AAC) strategies with outpatient populations is well established, it is not yet the standard of care for patients facing acute barriers to communication during a hospitalization. The presentation will describe the system barriers that must be overcome to incorporate AAC technology into clinical practice. 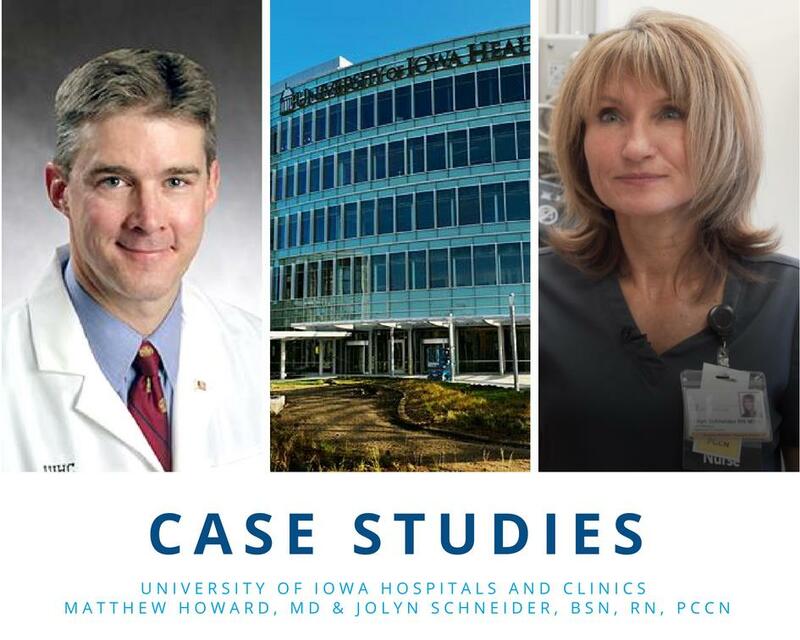 The presented cases will highlight the need for interprofessional practice and describe the implementation strategies and ongoing problem-solving needed to meet the communication needs of hospitalized patients. You can also see the latest Voxello technology at the ATIA conference. 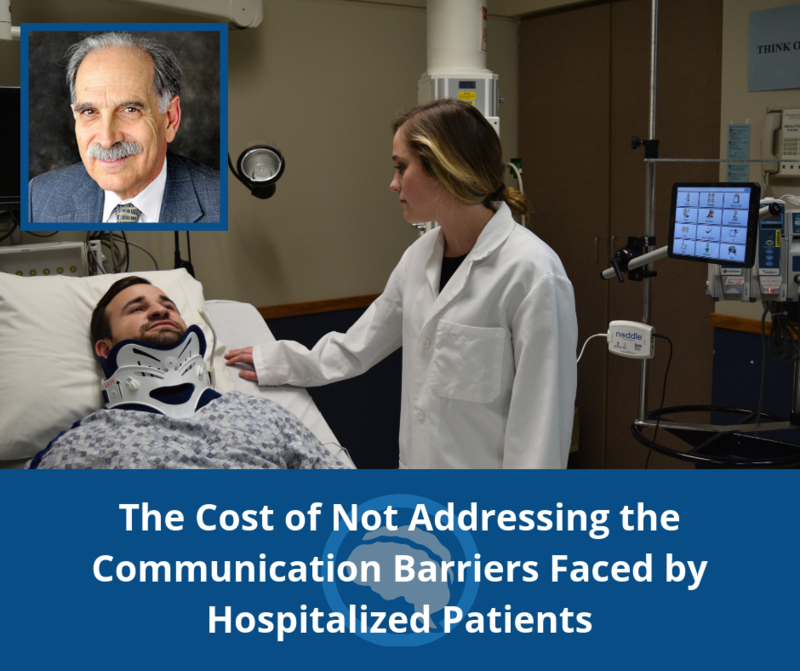 Voxello’s first publication indicating the economic impact of communication barriers in hospitals has been accepted by the American Speech and Hearing Association (ASHA). The publication emphasizes the importance of creating effective communication channels for patients that cannot speak or use common nurse call systems due to their conditions. The results of creating effective communications paths for this vulnerable patient population leading to profound outcomes on reducing preventable adverse events and creating cost savings for hospitals of $6.8 billion each year in the United States. You can read the abstract here. 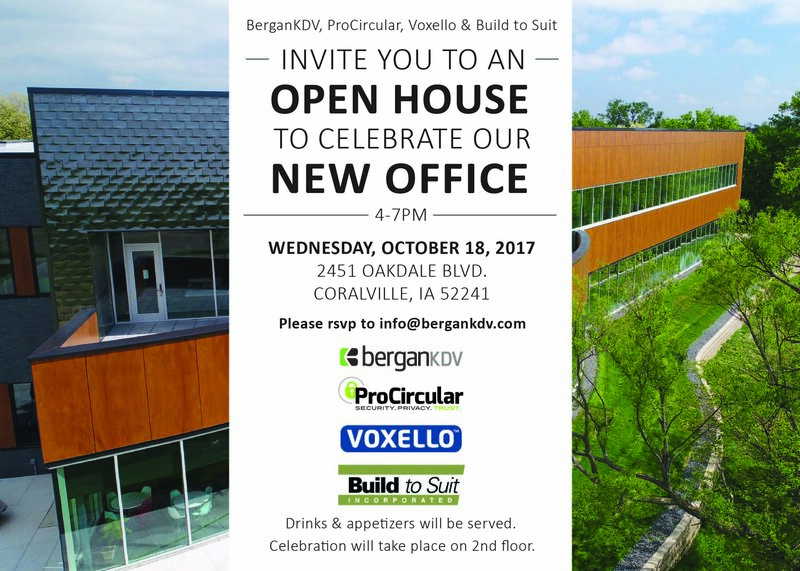 Voxello was recently featured by Iowa Secretary of State Paul Pate as a growing small business here in Iowa. This feature is a part of their #SmallBizSalute series.